4 ½-year-old Mujahath Ali is known to have a smile that can infect anyone who looks him in the eye. This cheerful little boy has been diagnosed with a Stage IV tumor and needs aggressive treatment to have a chance of survival. 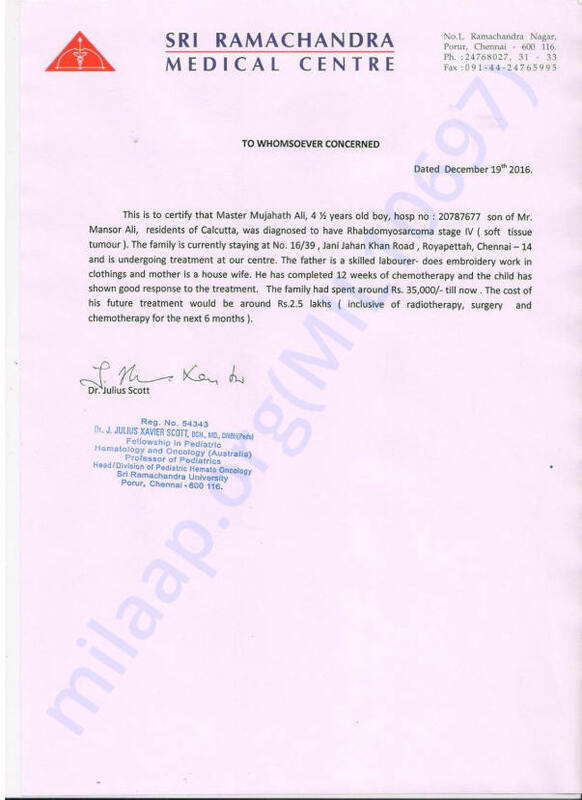 Again, Mujahath was taken through a whole panel of tests, examinations, CT scan and a biopsy. The parents received the news they were dreading to hear. Their baby boy had Stage IV Rhabdomyosarcoma (soft tissue tumor). He was immediately put through 12 weeks of chemotherapy to reduce the size of the tumor, and has responded well so far. 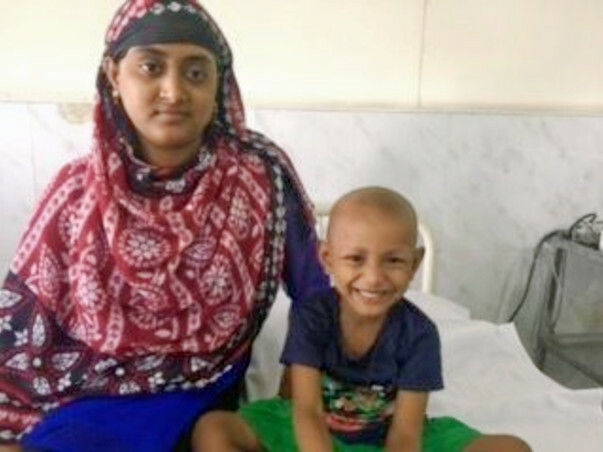 Mujahath now needs radiotherapy, and 6 more months of chemotherapy to beat this cancer. 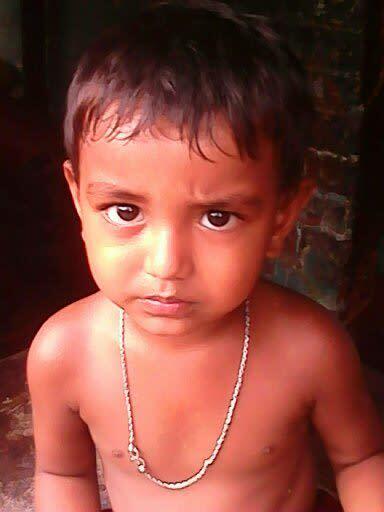 The cost of treatment is estimated at Rs.2.5 lakhs and the family has no savings to continue Mujahath’s care. Mansor is back in Kolkata working extra hours to make more money to fund the treatment, while his wife is taking care of their little boy all by herself. 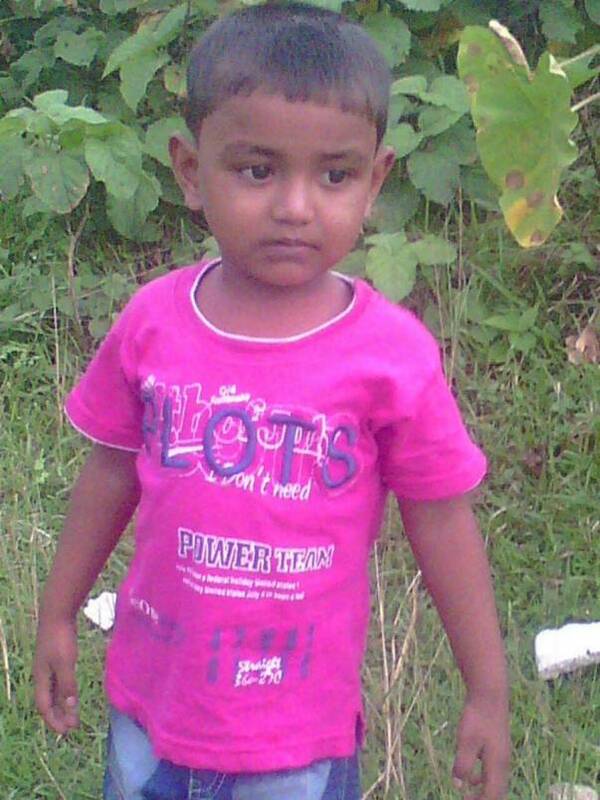 Your contributions could help this child to complete his treatment and save his life. 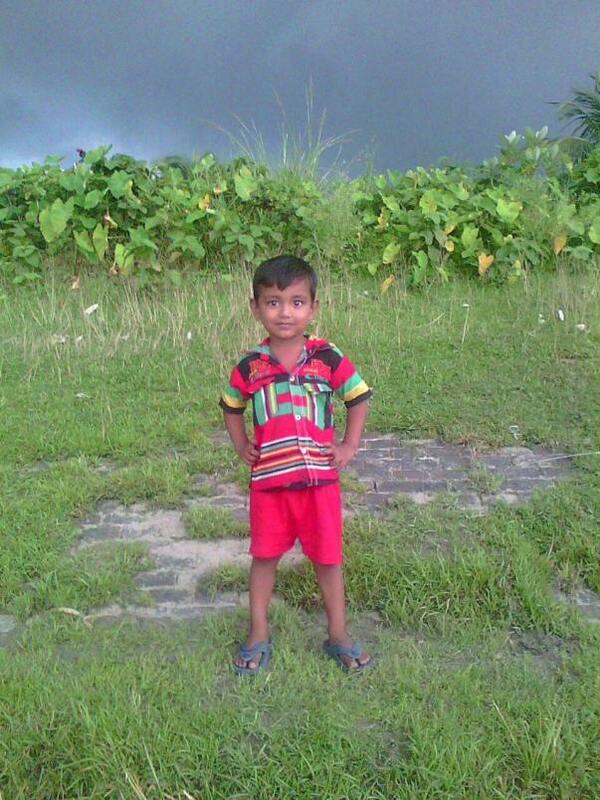 “Mujahath Ali, is a very cheerful boy, bubbling with energy and enthusiasm. He has a contagious smile and every staff in the ward remembers him for his extreme cooperation during invasive procedures and always keeping a bright face. Among the cries of the children in the ward, you could see him playing happily in his bed, with no temper tantrums that is common in children who had been undergoing cancer treatment,” says the doctor. Your contribution can gift Mujahath a healthy life. Mujahath Ali is completing his treatment in a week after which he will undergo some investigations to check the status of the ailment. He completed radiotherapy and remaining part of his chemotherapy without many issues. We are thankful to all the donors for providing the child better care and treatment. With the timely help of all the noble hearted people around the world, Mujahath Ali had completed his radiotherapy and is back into his regular chemotherapy. He has 6 more months of chemotherapy and has completed 2 cycles of them as of now.